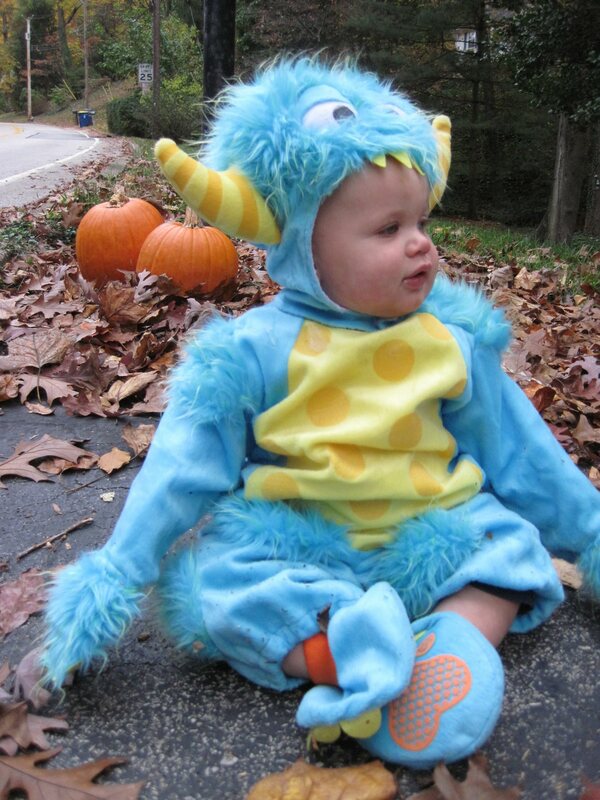 It’s scary how cute this little monster is! He’s still too young for trick-or-treating, but he did participate in his school’s Halloween parade. He was pretty crabby the whole time, but he had fun playing in the leaves with his costume on later.